Is financial freedom just a matter of consuming less and being more frugal? We take a closer look to determine what it really takes to reach financial independence. In the last episode, we took a look at the idea of financial freedom — and also talked about some of the problems that the “financial independence/retire early” movement fail to address. We suggested a different way of thinking about financial independence so you can actually be present and experience life now — without sacrificing your future financial security and independence. That being said, we also thought it was important to address the first steps to take to reach financial independence… and also acknowledge that not everyone is currently in a position to get to financial freedom. The truth is, “just save more” or “be frugal” are not adequate pieces of advice if you’re in a tough situation. Sometimes, you need to do more than just cut back on consumerism. In Episode #005, we’re continuing the financial freedom conversation and taking a look at how people of varying financial means could approach the goal of financial independence, along with the very basic steps to take to get you started on this journey. Not everyone is in a position to be financially independent, and that’s not necessarily through any fault of your own if you find yourself here. There may be large, systematic issues that are making moving forward a struggle. You may have much larger obstacles to overcome and/or far less privilege than some of your peers. There may be nothing as important to your success as your ability to act. Don’t get caught up in wondering what the best, optimal actions are because if you do that, you’ll overthink and feel uncertain and then never take any action at all. Actions allow you to learn and mistakes give you insight on how to improve. You have to master your cash flow, control your spending, increase your savings, and implement your investment strategy consistently over time if you want to be financially free. Focus more on the process or the journey rather than obsessing over the final, end goal of financial freedom. Enjoy the actions that you take day-to-day that, over time, will get you to financial independence. No conversation about financial independence is fully complete without an honest acknowledgement that it takes a lot of privilege to be able to pursue this goal. 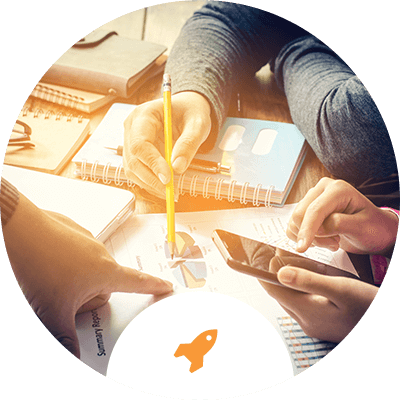 We understand that not everyone is in a position — through no fault of their own — to make financial freedom a reality. We also know that we’re not experts on giving advice to everyone. For deeper discussions on systemic issues like race, poverty, and more, we suggest checking out the Brunch & Budget Podcast or Just Wealth. 0:41: If you just relied on FIRE bloggers as your guide, you’d think that anyone could reach financial independence! But frankly, that’s a lie. 0:53: Not everyone can just wish their way to financial independence.. or even work their way there. People act like the means to the end of financial freedom is, “just be frugal! Just save more! Just stop spending so much.” Which is great if you have the choice to do that. But let’s get real. Not everyone has the choice to be frugal. 1:12: Sometimes you HAVE to be frugal. You’re only making so much money, there are only so many dollars to go around to pay your bills, and there’s nothing left at the end of the month. 1:23: Financial independence is a great goal. It’s something you can absolutely strive for — and YES, there are a lot of people who CAN get there. This is not to say it’s impossible for most. A lot of people are sitting in great positions to leverage their money to reach financial independence. But we think it’s very important to address the fact that life is a lot more complicated than “just save more money. If you’re not financially independent it’s because you spend too much.” That’s the lie. 1:44: There are so many factors that come into this conversation about “can you or can you not reach this goal.” Do you have access to opportunities or not? Are you able to make a good income? Are your fixed expenses reasonable or so high you can’t save even though you want to? Some people have more opportunity than others; some people are making a ton of money that makes savings easy. Not everyone is in this position. 2:08: A good first step for anyone who is interested in financial independence might be to identify where you are now. Look at your challenges. And then see what’s in your power to control and influence that might allow you to position yourself for opportunity in the future (if you don’t have access to opportunity now). 2:40: There’s only so much money you can choose to not spend. There may be times in your life where you just don’t really have a choice (because you have fixed expenses — rent, bills, etc — that you have to pay. Group 1: Financial independence is 100% doable for you and in your control. That’s if you’re making good money, you can afford all your fixed expenses and then some, and you have more money coming in than what you have to spend each month… but as of right now, you might be choosing to spend that extra money instead of saving or investing it. If you could be more intentional and mindful with your cash flow, you could reach financial independence relatively quickly and easily. Group 2: Financial independence is possible — but it’s not going to be easy to achieve it. You don’t necessarily have a lot of money left over at the end of every month (even after trying to cut the fluff from your budget and get mindful with your spending). If this sounds like you, the solution may not be to keep focusing on savings… it might be time to look at how you can earn more money, so you have more to save. Group 3: Not everyone is in a position to be financially independent, and that’s not necessarily through any fault of your own if you find yourself here. There may be large, systematic issues that are making moving forward a struggle. You may have much larger obstacles to overcome and/or far less privilege than some of your peers. 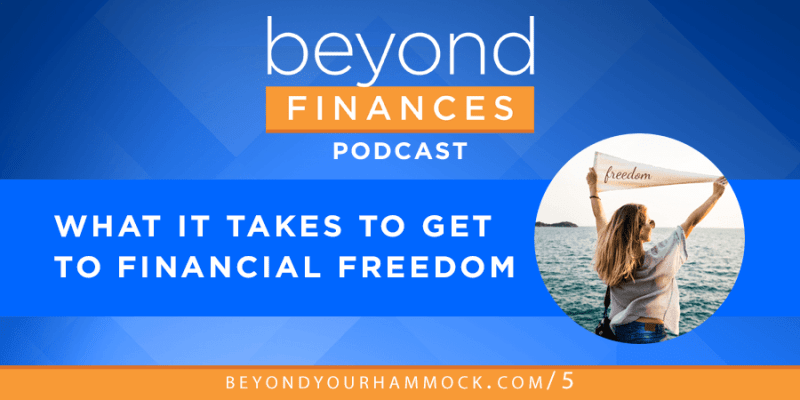 4:55: So, how do you get yourself into a better financial situation and moving forward on the path toward financial independence if you are struggling to get by? First thing to do is to understand why you’re in the position you’re in. Was it just bad luck or chance? Did you never get opportunities you needed to advance (whether that be through education, good-paying job, etc)? Or can you take responsibility for some bad financial decisions that you made — and then focus on making better choices moving forward? 6:11: No, you cannot necessarily just pull yourself up by your bootstraps and make yourself more successful. Kinda impossible to do if you never had bootstraps to begin with (and that’s not your fault). 7:06: In this particular conversation today, we are not going to be able to address systematic oppression or racism. That doesn’t mean it doesn’t exist. But it does mean we are not the best people to speak on the issues facing you if this is your experience. A podcast you might enjoy that does dig deeply into these issues is the Brunch & Budget Podcast by Pam Capalad Kushner and Dyalekt. Someone else whose work you might find helpful is Phuong Luong of Just Wealth. 7:19: This rest of what we’ll chat through today on the podcast will be shared with an audience of people in Groups 1 & 2 in mind, who have greater control over their situation and their wealth outcome. 8:02: We’ve both experienced times in our lives where the amount of money coming in was less than the monthly bills we had to pay. There’s a lot of stress that comes with waking up and not knowing where the next dollar is going to come from to pay that expense that’s due. 10:23: It wasn’t a very clear path. Talking in hindsight is so much easier! But thinking back on the experience of that time, it was REALLY hard. He had no idea where he was going; it felt like he was in a fog. He was just trying to take one step at a time, but it would often feel like he was going nowhere or just walking in circles. Eventually, though, you’ll hit on something. You can say, “I’m on to something here,” and you can focus on making a specific change. 11:22: For Eric, working on personal development and figuring out who he really was, was just as important as figuring out the financial side of life. 11:47: As Eric grew personally, he was better able (through increased self-awareness) to evaluate his situation and his life and objectively identify what needed to change. The self-awareness he gained made positive impact on his career and business because he was more confident and grounded. The positive impact on the business lead to a positive impact on his finances as the business grew and became both successful and profitable. 12:27: For Kali, finances always came first. She was always “good with money” and prioritized saving, then earning more, then investing — but ignoring the personal development/self-awareness aspect of life caused some serious issues that she had to reckon with and address later. 14:22: Looking back, Kali sees that personal development work would have been so valuable because it would have allowed her to make better decisions about what was right for her. 14:35: But, as Eric points out, the order in which you do things probably doesn’t matter as much as just taking action. Don’t get caught up in wondering what the best, optimal actions are because if you do that, you’ll overthink and feel uncertain and then never take any action at all. Actions allow you to learn and mistakes give you insight on how to improve. 15:49: When Eric left the corporate world, he was running away from a lot of stuff and had no direction. That was a far more stressful time than when he started his business from scratch — because that time around, he was running TOWARD something and even though he wasn’t making much, the willingness to hustle and get that side job as a waiter meant he had at least some money coming in. 16:29: If you’re in a place where you’re considering going after financial independence, the first thing you need to do is just get in action. Start doing something that could be productive. 16:48: And, consider that, at least in the beginning, maybe “financial independence” is the wrong thing to focus on. if the goal is financial independence… why is that? Do you really want financial independence, or do you feel unfilled in some other area of your life and you’re trying to fill that gap with this big financial goal that sounds like it will solve everything? 17:13: Focus on the day-to-day at the beginning… and then ask yourself, what am I missing right now? What do I value, but I don’t have it in my life? How do I get closer to those values? If you start here, the journey to financial independence could be more fulfilling because you’re doing the things you value along the way until you do hit financial freedom. 17:39: This makes it more of a process, a journey, that you can actually enjoy instead of just putting your head down and trying to get to a specific destination as fast as you possibly can (while being unhappy with your current life along the way). 18:22: Happiness isn’t in achievement. It’s in the process of getting to that goal. 18:40: It really is a case of “be careful what you wish for.” There’s a possibility that achieving some specific goal is not going to give you the outcome you actually want or enjoy. Eric gives an example of a really common thing for people in their retirement planning where this happens. 20:21: Understand that life evolves. Things change, people change, we change. Keep that in mind as you move along, and know it means you need to be adaptable. Your goals/financial plans need to adapt too. Know that you will need to change your actions or adjust your mindset as you go — or even shift your goals. Be good with your cash flow — that’s a habit you have to build. Pay attention. Know it. Track spending, know your savings rate. Control your spending and follow your budget. You have to save — but you also need to understand that at some point obsessing over pinching pennies does you no good. You need to earn more so you can bring up the ceiling on how much you can save. If you earn more, save more! Once you have spending and saving under control, you need to learn to invest wisely to grow wealth.